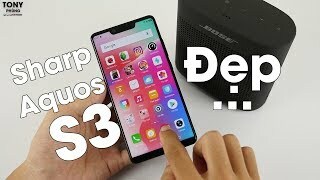 It hasn’t been long since the Sharp Aquos S2 was released and there are already rumors roaming on the internet about the upcoming Sharp Aquos S3. 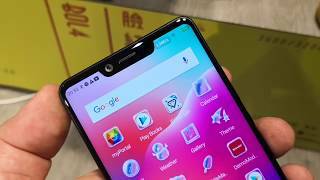 It’s too early to talk about the phone but it is possible that the phone will be released early as phones with bezel-less displays are getting more and more popular. Before we get to the specs, let’s see if the budget fits your requirement or not. The Sharp Aquos S3 Nigeria price is expected to around ₦ 173100 right after its release. To find out how long you will have to wait for the Sharp Aquos S3 release date Nigeria, keep reading. 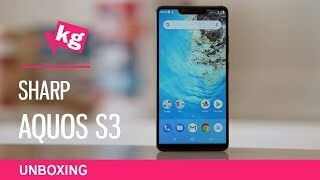 As the bezels are getting smaller, the screen size is getting bigger which will make the screen of the upcoming Aquos S3 bigger than its predecessor. The display will be a 5.8-inch one showing 2880 x 1440 pixels resolution and 555ppi of pixel density. It will be protected by Corning Gorilla Glass but we don’t know the exact version of it yet. From what we have seen in the rendered leaked pictures, it will be definitely one of the most good-looking phones in the market when it’s here. For now, there is the Samsung Galaxy Note 8 and Xiaomi Mi Mix you can check out. These are two near bezel-less phones that are almost in the same price range as the Sharp Aquos S3 Nigeria price. It’s surprising to see the Sharp Aquos S3 to pack a single 12-megapixel camera on the back as the Sharp Aquos S2 comes with a dual camera. However, it is possible that the specs will change as nothing has been officially confirmed yet. There will be definitely some improvements and the upcoming phone will be capable of capturing 4k videos. There is no change in the front camera megapixel-wise so it will show up with an 8-megapixel front camera. 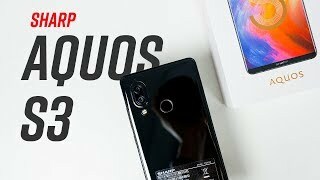 If you don’t want to wait for the Sharp Aquos S3 release date Nigeria and want a good camera focused phone, there is the Samsung Galaxy S8 Plus and iPhone 7 Plus you can try. There are no surprises waiting under the hood. The Sharp Aquos S3 will be packing the Qualcomm Snapdragon 835 octa-core processor paired with 6GB of RAM. This is the latest processor available at the moment but we don’t know the release date of this phone yet. As the display will get bigger and the processor will be a heavier one, a bigger battery will be definitely expected. According to most of the rumors, it will be a 3230mAh battery. This is definitely not what we expect to see in a phone like this but users will be able to recharge it quickly thanks to Quick Charge 4.0 technology. There is the Lenovo Vibe p1 if you want a phone with bigger battery. It will be too early to expect the release of this upcoming phone as the Sharp Aquos S2 was just released in August, 2017. However, it will be a flagship device with better specs so it is possible for the Sharp Aquos S3 to show up early sometimes in 2017 or Q1, 2018. It will be a good idea to start saving now that you know the Sharp Aquos S3 Nigeria price. 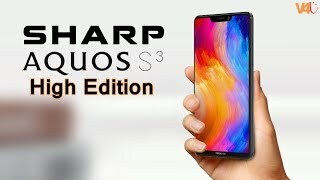 The aquos s3 Mobile Phone is manufactured by Sharp and was added around September 2017 and is part of the Sharp Aquos S3 series. 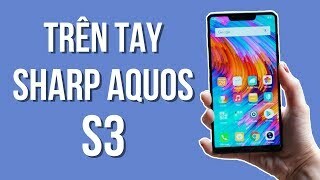 Đánh giá chi tiết Sharp Aquos S3 - Máy rất tốt, nhưng chưa được phổ biến!